Police have released CCTV photographs of a woman they want to speak to after £10,000 was stolen from a 91-year-old patient with dementia as she lay in her hospital bed. Mary Banks died within four weeks of her purse being stolen at Peterborough City Hospital in September. Her bank card was used to fraudulently pay for groceries and clothes, as well as withdrawing cash, Cambridgeshire Police said. The card was reported as stolen on October 12, four days after Mary's death. Her son, Jim Banks, said his mother was immobile and had severe breathing problems. "She would have been completely unaware of where she was let alone that she was being robbed by a despicable and immoral individual who has preyed on the sick and vulnerable," he said. "She died within four weeks of being robbed. "It defies belief that anybody could stoop so low and I am appealing for the publics help in catching whoever is responsible so that no other family has to face a similar heartache." 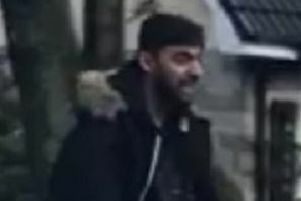 Police Constable Lewis Busby said: "I would urge anyone with information about this crime to contact us or who thinks they know the woman in the CCTV. "My thoughts go with the family who are dealing with the loss of their loved one and now have to deal with this alongside it." Anyone who recognises the woman pictured or has any information is asked to call police on 101 quoting 35/36955/18.